Amazingly, a large river once flowed through what is today Hove. The River Adur, which now flows out at Shoreham, once flowed through the spot now occupied by Hove Lagoon and met the sea at a place called ‘The Wish’. A large cut was made in the River Adur in 1760 by the Shoreham Harbour Commissioners. From above, as demonstrated by a good aerial map (such as local.live.com), the original route is quite clear. The old mouth by The Wish filled with silt leaving Shoreham Harbour. The change in natural dividing line between the two local communities along with the joining of the two old banks with silt led to an interesting legal situation which wasn’t tested until the early 1900s. For many years, Hove Lagoon was simply a tidal pond and it wasn’t until 1900 when Cllr A. Nye suggested that it should be used for model yacht racing that anything started to happen. What was previously the west bank of the River Adur was subject to the rights of the Lord of Lancing Manor. The changes left a portion of land on the Hove side to which these rights applied. The ownership of the silted river-bed was also a grey area which wasn’t resolved until 1927 when Hove Council had to acquire the rights from the then Lord of Lancing Manor, Paget Baxter. After the legal wrangles had ended, serious work began in 1930 on two boating lakes; one fairly large, one fairly small. 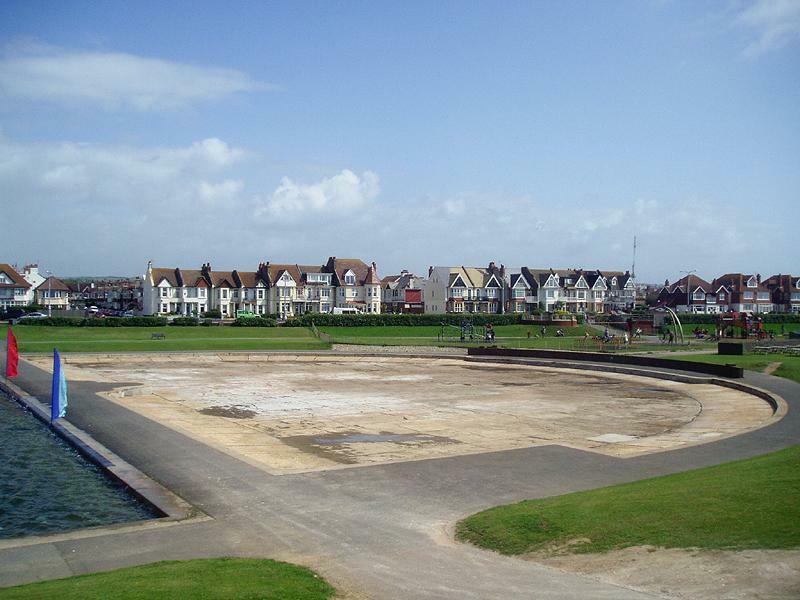 During the Second World War, like the rest of the seafront, it was out of bounds and was in fact used as a pool to check that the army’s tanks had been made properly watertight before D-Day. In 1947, it froze and was used by ice-skaters instead of the usual model boat owners. Interestingly, Western Esplanade, or “Millionaires’ Row” as it is known locally, was built by Baxter and sits to the west of the Lagoon. Its famous residents include Heather Mills-McCartney, Zoe Ball, Fatboy Slim and Nick Berry. It’s fascinating to think that the land which is currently occupied by Hove Lagoon, Millionaires’ Row, the Western Lawns and even Shoreham Power Station was once on the other side of the River Adur. 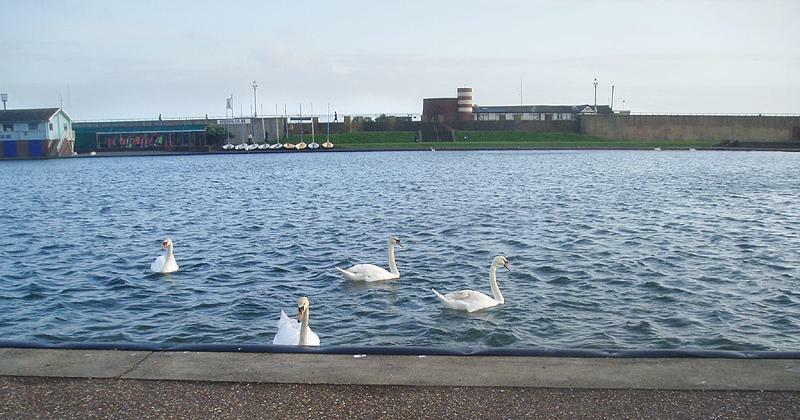 Many a time have I stopped by Hove Lagoon to watch the windsurfing but must admit that it’s normally to meet the friendly swans which visit regularly! See www.hovelagoon.co.uk for details.